I am still having formatting issues. In fact, it's getting worse! Please hang in there with me. I have someone working on it. 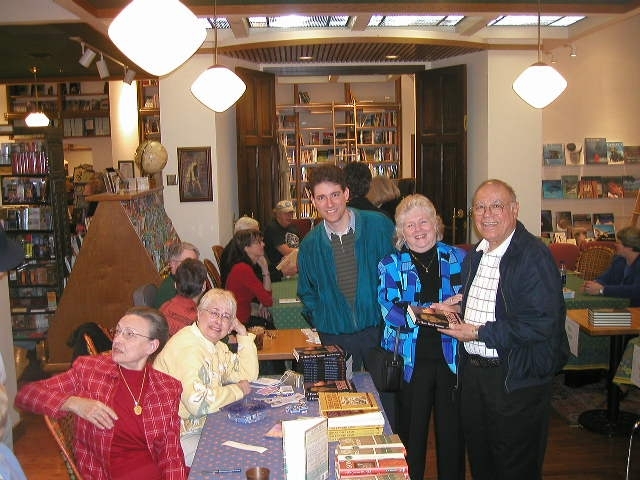 Meanwhile, a picture of my new novel is somewhere below--if I'm lucky! *Worldreader is a world-wide literacy project sponsored by Amazon, The Bill and Melinda Gates Foundation, Microsoft, and others. Coming soon on Amazon Kindle. Booking video and info for Geronimo, Life on the Reservation. Geronimo, Life on the Reservation, a one-man live show that I wrote, is going to be at the Western Legends Roundup in Kanab, Utah August 25 & 26th, 2017. 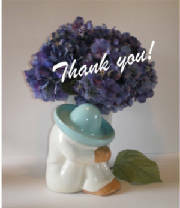 Note:THE SHOW'S PERFORMANCES WERE A GREAT SUCCESS! 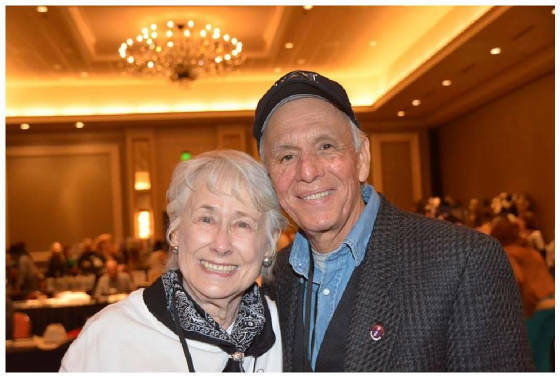 We both love Kanab, Utah! is coming your way. Don't miss it! Santa Monica area friends, please share! the white man had just stayed home..."
Coming up, hopefully for Christmas: A One-way Cruise to Africa. A NA (New Adult) novel about danger on the Internet. Suspense/Romance. Kindle. Note: New Adult is a designation of literature suitable for age groups who have outgrown Young Adult (YA). Cruise is finished and is awaiting a cover design! 2013 Honorable Mention at the Great Northwest Book Festival! on Kindle, $2.99 USD. New Adult & up, humor/suspense. Kindle only. Note: The Coastal Native American named Breaking News was the original name of the character. It is not related to the Breaking News banners on television news lately! Note: The Coastal Native American named Breaking News was named when the book first came out. It is not related to the Breaking News banners on the television news lately! I loved the book. I will read it again!" H.B. Tacoma, WA. 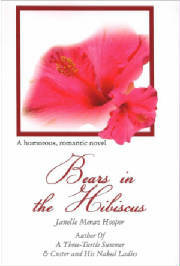 Bears in the Hibiscus- a humorous romance. 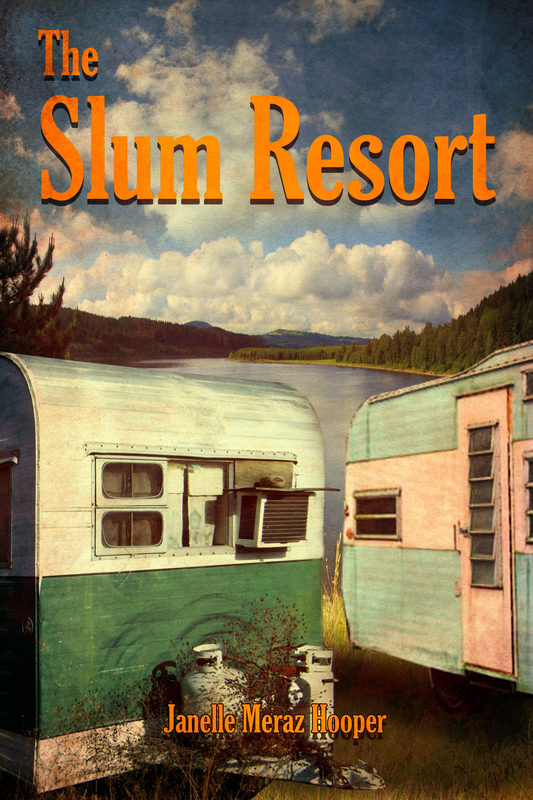 Paperback, CreateSpace, 153 pages, $9.99 USD, Kindle,$2.99 USD. Some sexual content. A Cool Book Review ( www.cool-book-review.com )-Janelle Hooper has brought a story of domestic violence into fine focus with this book. It is a tragic tale but one reflecting the persistence of the human spirit which eventually brings a final relief from the agonies of pain, fear, and violence. The demeaning treatment of the heroine of this tale by her husband and her resourcefulness to secretly battle him could only be told by someone who has been very close to similar actual events as either a participant or observer. 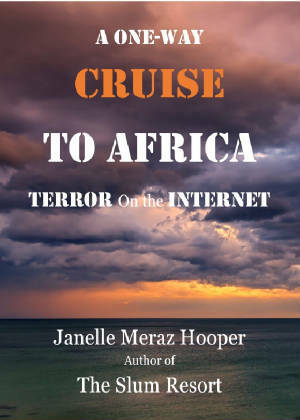 Libros en iguama.com-"Janelle Meraz Hooper gives us more than a story. 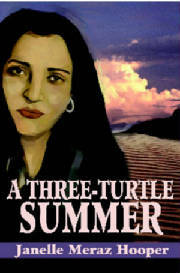 She gives us a cast of hilarious and memorable characters in a vividly drawn scene..."
A Three-Turtle Summer- Fictional autobiography, 2002 Bold Media 1st place fiction winner. Paperback, iUniverse, 323 pages, $17.95 USD, Kindle $3.99 USD. The first book in my Turtle Trilogy. Adult content. It’s A Three-Turtle Summer—hot—and Grace has to dump a man who’s meaner than a rattlesnake and dumber than adobe…a story about sisterhood and family. 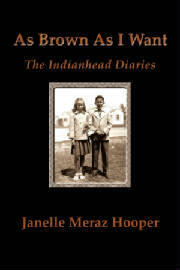 As Brown As I Want: The Indianhead Diaries- Fictional autobiography,comic/suspense. 2004 Oklahoma Book Award Finalist. Paperback, iUniverse, 166 pages, $13.95 USD. Kindle $3.99 USD. The second book in my Turtle Trilogy. Suitable for all ages. Eight-year-old Glory’s father has taken out a $50,000 accidental-death insurance policy on her. Now he’s spending the summer trying to collect. A very funny book. Although this is the second book in my turtle Trilogy, it stands alone. Although this is the third book in my Turtle Trilogy, it stands alone. 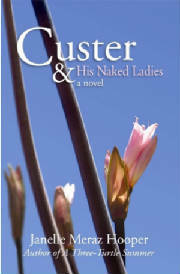 Custer and His Naked Ladies- women's fiction. Paperback, iUniverse, 206 pages, $15.95 USD, Kindle, Nook, iBookstore $3.99 USD. The third book in my Turtle Trilogy. Some sexual content. 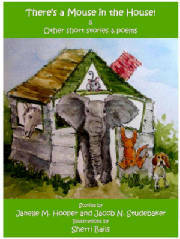 MY NEW KINDLE SHORT STORIES! 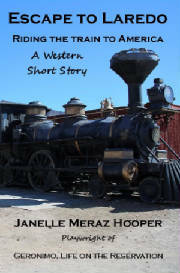 I post excerpts from my short stories on my blog site, http://JanelleMerazHooperauthor.com/ I get a lot of readers from all over the world who enjoy the content and easy writing style of my shorts. a Western suitable for all ages. It was Gregoria Marteen's first day on the job as a pastry chef in Laredo...it wasn't going well. Rafael and Gregoria Marteen decided that her escaping to Laredo with the children during his funeral was the only hope they had of escaping Rafael's brother's violence and greed. Their daring plan for their family's survival is made even more daring because naïve Gregoria has never traveled outside her hometown, certainly she has never been on a train! Bravely, Gregoria sets out to begin a new life in America, overcoming her fears and meeting disaster after disaster head on. Last summer, Harpy & Julianne were fussing over cats and roses. This year, the two senior gardeners are having a tomato war. 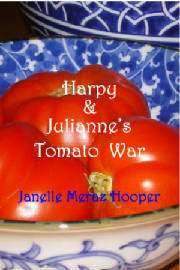 Harpy has a new secret to growing big tomatoes and he won't share it with Julianne. She is sure he's still mad over her putting salt in his prize rose bed the year before, but she keeps plying him with homemade lemon cake, hoping to soften him up before canning season. Little does he know Julianne's friend, Joe, is about to spill the tomatoes; er...beans. Harpy and Julianne's War of the Roses, the first gardening war was published in Free Pecan Pie and Other Chick Stories (Available on Amazon ). 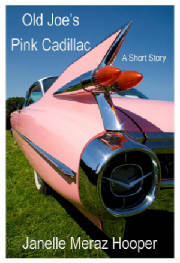 Before Old Joe’s best friend left for Vietnam he dropped his pink 1959 Cadillac Coupe de Ville off at Joe’s for safekeeping. The old car was in bad shape and, when his friend didn’t come back, Joe made it his mission to restore her. 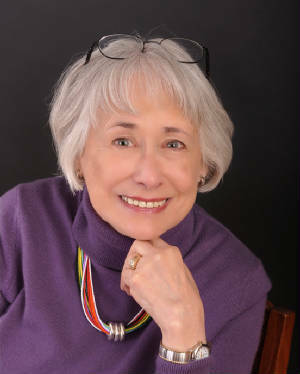 Author's note: Although the main story mentions the Vietnam era, this story also touches on the history of a small town caught up in Fort Sill's preparation for World War II. Harpy and Julianne's War of the Roses. 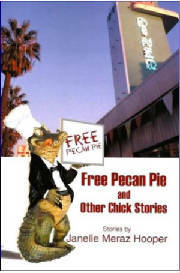 Free Pecan Pie and Other Chick Stories- mixed genre. Teacher favorite, the short pieces are also good for English-as-a-second-language classes. Paperback, iUniverse, 132 pages, $12.95 USD, Kindle $2.99 USD. Contains my Mercedes story. Suitable for all ages. What’s a chick story? It’s a story with no drugs, bombs, or spies who have numbers instead of names. And clean. It has to be clean. A collection of short stories and humorous newspaper commentaries on holidays, sports, and writing. Also includes Thanksgiving and Christmas shorts. Mixed genre. #7 in the 2016 Worldreader Top Ten list! 2013 Winner! City Animals Category-Animals, Animals, Animals Book Festival! 8-1-13 The title poem of this book has just been chosen an i-Pad favorite for kids! YouTube trailer, There's a Mouse in the House! Playwright with star Rudy Ramos, Geronimo, Life on the Reservation.